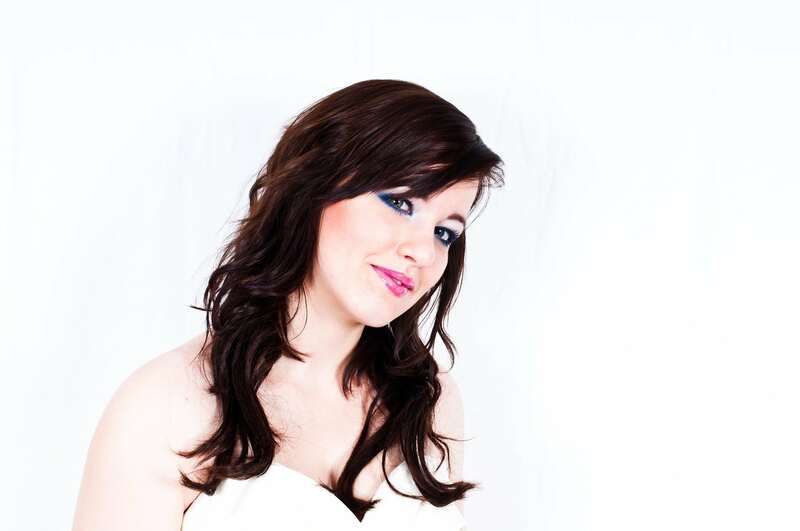 Facial couperose is one of the most frequent causes for consultations in dermatology. This is a real vascular disease of the skin, where permanent dilation of small blood vessels or capillaries occurs in predisposed skin. 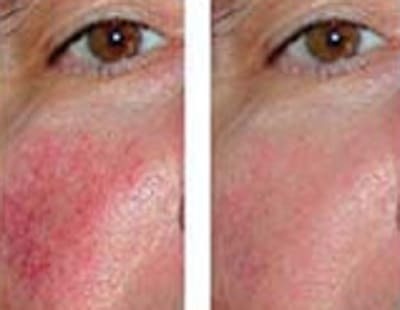 Couperose is often a symptom of another skin disease, rosacea. 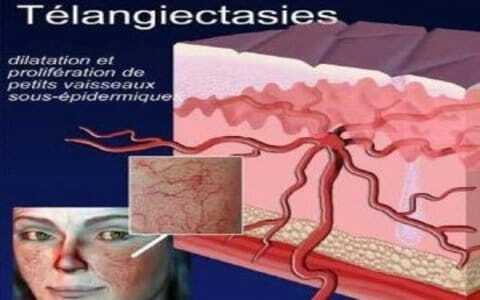 – True couperose is where the blood vessels have a clear, fine pattern on the surface of the skin. – Erythrose is characterised by widespread redness. 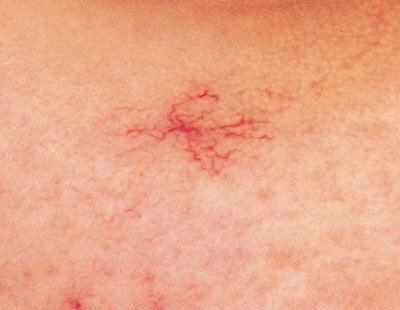 Over the years, capillaries, visible to the eye, form ‘red hairs’ or telangiectasia. This is erythro-couperose. Either by ‘soldering’ the vessels ( photothermocoagulation ) or by lightening the vessels ( selective photothermolysis ). This can be carried out without disturbing the skin’s integrity – i.e. without leaving any remaining scars. Your doctor will advise you about the different options, depending on your particular case. The session is painless, laser shooting causes a sensation of mini "strokes of elastic" accompanied by a slight burning sensation. 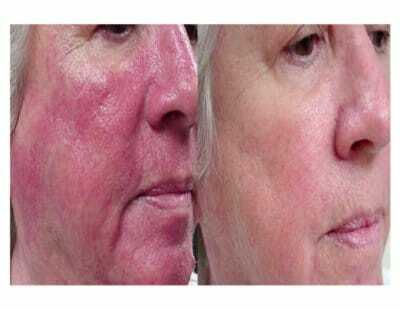 – Redness and a ‘hot’ sensation for 2 to 3 days. – Light swelling or puffiness, above all around the delicate eye area skin for 48 hours. – Slight whitening of the skin and scabbing which will disappear in 4 to 7 days, and can be covered by made-up. 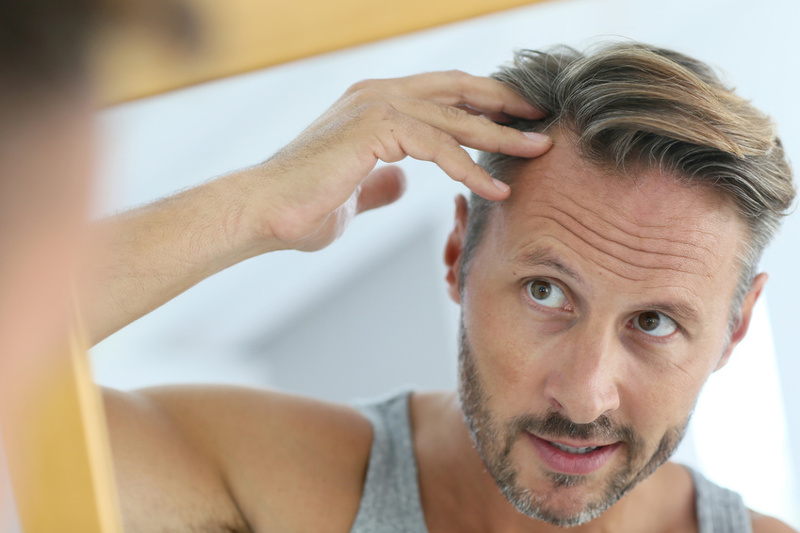 – Occasionally, in the case of severe affliction, a purpura (a hematoma or ‘bruise under the skin’) must be created, by using the principle of selective photothermolysis around the area to be treated. This can last 10 to 15 days but is the only real guarantee of effective treatment. Results are visible after about 6 to 8 weeks. On average, treatment requires 3 to 4 sessions, with an interval of 2 months, except in the case of purpura where, depending on the case, only one or two sessions, with an interval of 6 to 12 months are necessary. Social security will not financially support this treatment. Do not expose the area treated to the sun for a month afterwards. This technique is now obsolete, sometimes used for small vessels. A needle heated to electric current is introduced into the vessel for the sclerosis. 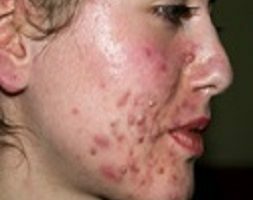 The treatment is painful, does not treta diffuse redness and may leave scars. The flash lamp has a longer wavelength spectrum than the laser (a laser has only one wavelength). Unlike the laser does not target the blood vessels, the action is softer and the result less important. I had already consulted a few doctors for redness on my face. A friend recommended Doctor Romano who had done successful laser sessions with her. I felt trust from the very beginning. What’s more, she’s sympathetic, available and smiling ! My close ones have been impressed by the fast disappearance of the redness on my cheeks. I am very satisfied with the result! I was very anxious about redness on my face. After a few laser sessions, they disappeared. I recommend Doctor Romano! One area 300-350€ each session, it needs 2-3 sessions.